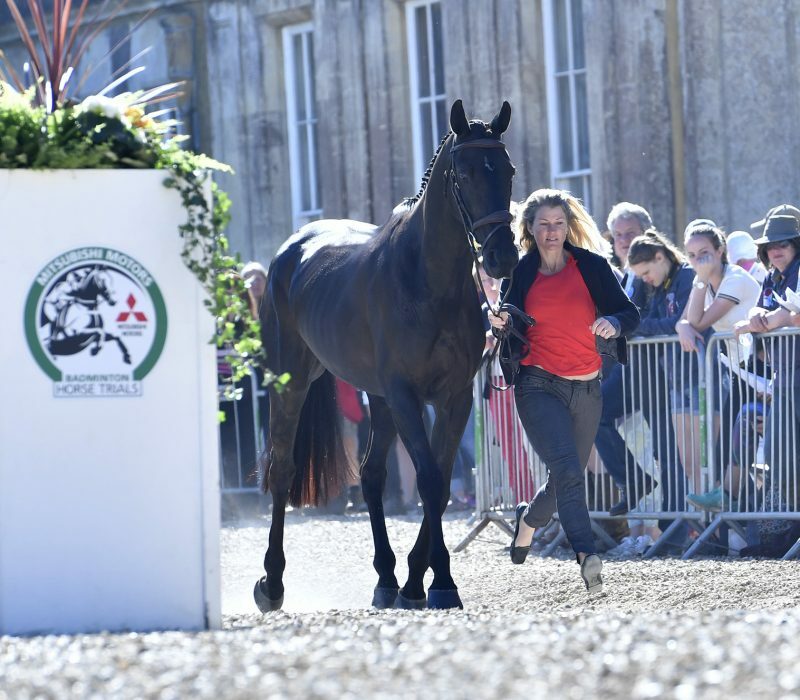 Last year’s Mitsubishi Motors Badminton Horse Trials winners, Andrew Nicholson and Nereo, will not be defending their title after the 18-year-old chestnut, lying in 12th place, was withdrawn from the holding box at this morning’s final horse inspection. Fifty-four horses – including all the top 10 after cross-country – will go forward to today’s showjumping test. Oliver Townend’s first ride, Cooley SRS (fifth after cross-country), was sent to the holding box, but passed on re-inspection, as was the French horse, Kaiser HDB 4175, ridden by Regis Prud’hon. Harry Dzenis’ ride, Dromgurrihy Blue, was not presented. There was plenty of equine high jinxing despite yesterday’s exertions. Lydia Hannon’s My Royal Touch and Kirsty Short’s Cossan Lad looked particularly sprightly, while Mark Todd’s sixth-placed ride, Kiltubrid Rhapsody, received plenty of appreciation from the crowd for his swagger down the runway in front of the Ground Jury of President, Mrs Sue Baxter (GBR), Mr Christopher Hess (GER) and Dr Katrin Eichinger Kniely (AUT). Riders’ outfits reflected the glorious weather. Georgie Spence looked suitably summery in a printed knee-length dress and contrasting jacket, while Frenchman Cedric Lyard’s bright red trousers were an interesting contrast against Qatar Du Puech Rouget’s shimmering chestnut coat. Of our 17 Mitsubishi Motors Badminton first-timers, 11 are still in the competition for the showjumping. We will round up their competitions in the end of event report. Today’s showjumping action kicks off at 11am for the lower-placed riders, while the top 20 will begin at 2pm.